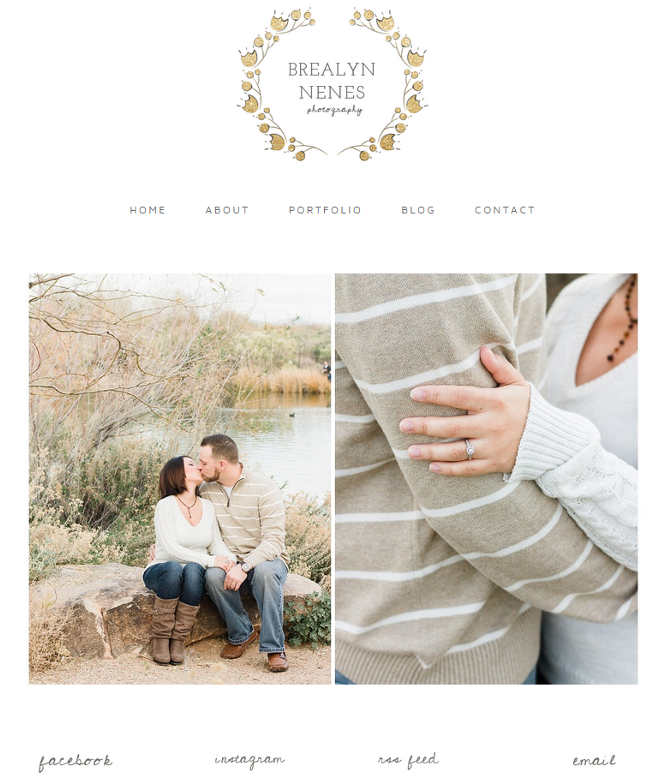 I am so excited to share a recent project I worked on with a dear friend of mine- Brealyn of Brealyn Nenes Photography! 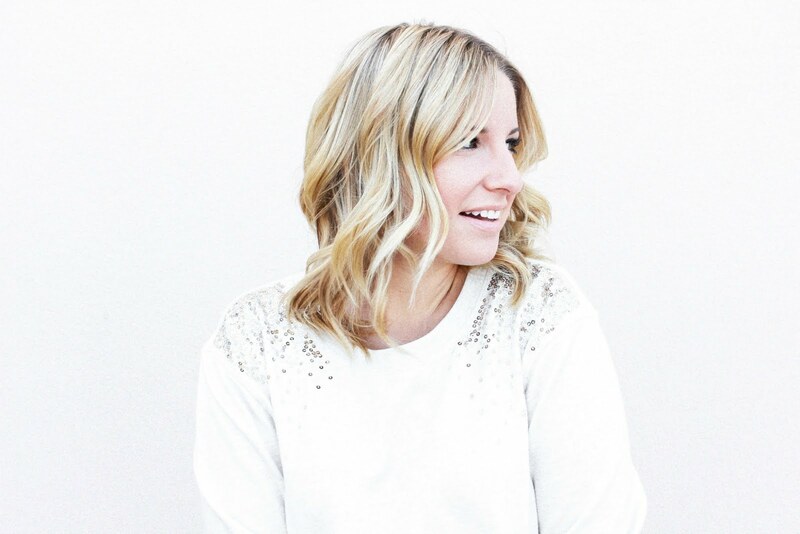 You might know our back story but here it is: Our guys work together at Discount Tire and she and I started chatting back in February, getting to know each other. 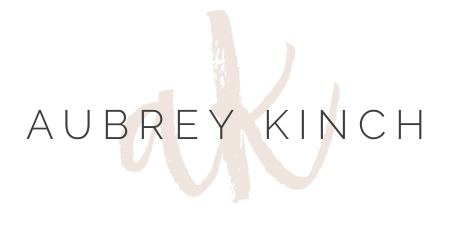 After some time, we had a coffee date, totally hit it off and worked on a little blog/photography collaboration throughout spring and summer! 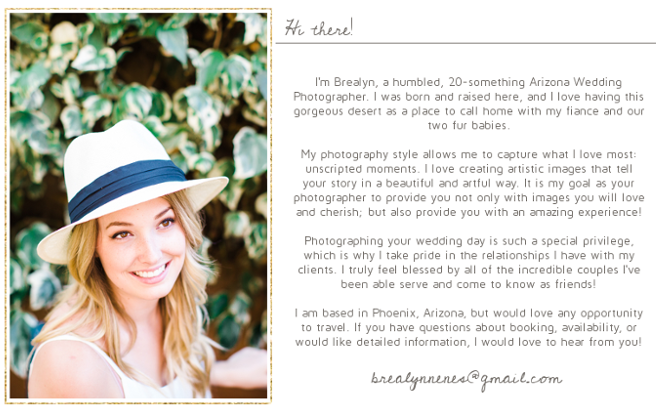 During that time, she did all my blog photos and a few other events (here + here) and I worked on her new website launch. After getting it live about a month ago, I felt it was about time to share the mood board here and how it turned out! 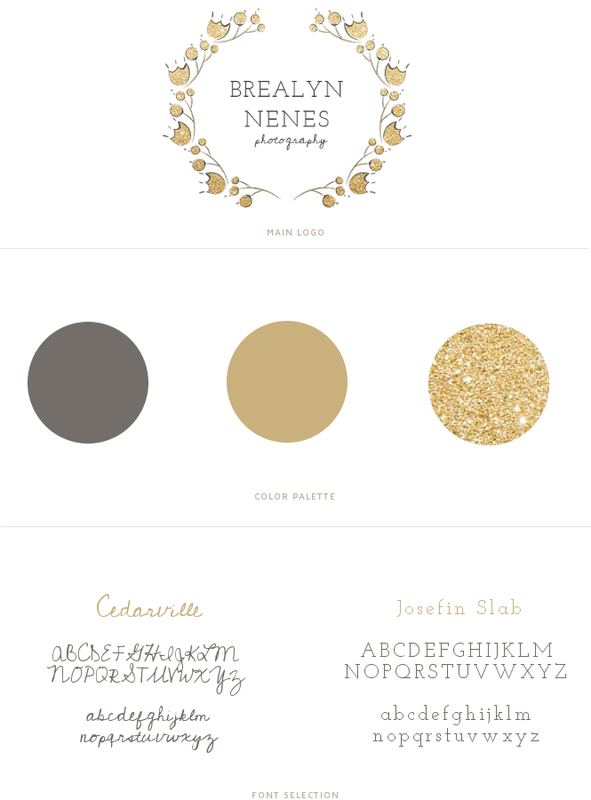 I really do adore the whimsical touches of the color palette and the pop of gold glitter throughout. She was an angel to work with and we had so much fun pulling all her ideas together to create a space that's lovely and unique to her. I hope anyone who visits her site sees how much passion and joy she has sharing her love and talent of photography with the world! Love this!! It turned out so great! You're so talented! obsessed!! darling, girly and so so pretty!!! I am still in love! You are the best. A million thank yous for your time, hard work, and creativity!